Hello and welcome back to the Hot List. This week we will turn our attention to videogames, previewing for you our loyal readers the most exciting videogames set for release in 2018. The big star of gaming in 2017 was the Nintendo Switch. Ever the innovators, the Switch boasts unique technology for sure, but it's the strength of the console's software library that looks set to ensure it endures as more than simply a fad console, as was arguably the case with the Wii. The most recent iteration of the Mario and Zelda series in particular are being roundly held aloft as pinnacles in the industry. If they can deliver more success even close to that level in the coming year, then we can see the Switch going from strength to strength. The year ahead boasts an intriguing mix of big budget AAA offerings, as well as indie projects. Sony and Microsoft have both released upgraded versions of their current home consoles in the past year, and all eyes will be on E3 to see how they intend to make use of that extra horsepower. Nintendo meanwhile don't look like they're going mainstream anytime soon, and the announcement of the bizarre and wonderful new Project Labo indicates they've still got a few wacky and unique ideas up their sleeve. For the scope of this preview we will consider a range of projects across all platforms, and from the looks of it there should be a little something for everyone. On the surface, the latest entry in Ubisoft's Far Cry series, Far Cry 5, doesn't look set to reinvent the wheel. Players will once again find themselves inserted into a wild and dangerous open world with a series of capture-the-flag style objectives to make progress. The usual series of intricate gameplay systems: guns, vehicles, crafting, animals, and others, will ensure that players have the agency to pursue those objectives in any way they wish. But Far Cry 5 has been gaining attention for all the wrong reasons, its setting. 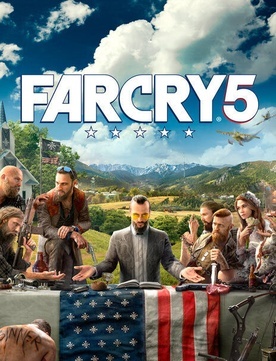 Typically, the Far Cry series has seen players travel to the far-flung extremities of the Earth in order to suit its wild-west style settings of lawlessness, but Far Cry 5 will be set in rural United States against the backdrop of an anti-government right-wing extremist group that has seized control. It's hard not to see this as some kind of comment on the very real state of anger seen among some segments of the country, and the political movements that have sought to direct that anger. Naturally this has a lot of people quite upset. One recent petition (which I would hope is actually an attempt at satire) called for the setting to be changed to Canada, and the villains to be changed to Muslims. So if you are of the opinion that America has degenerated into a wasteland of gun-nuts and angry mobs, this might be a setting that connects with you. The game drops in March. 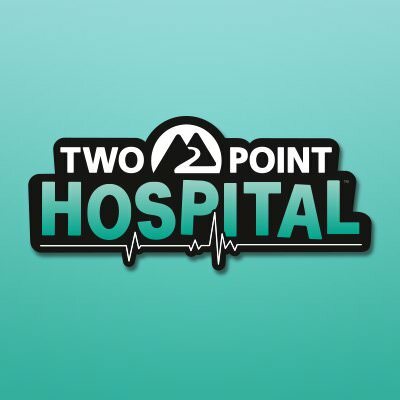 Along much the same lines, we have Two Point Hospital, the first game from new dev studio Two Point Studios. A little history for you young'uns. Back in the 1990s there existed a legendary game studio called Bullfrog co-founded by the mercurially innovative Peter Molyneux. They pioneered a new genre of creative sims under the "Theme" brand, releasing titles including Theme Park, Theme Hospital, and others. In 1995 they were acquired by gaming giant Electronic Arts, and those franchises have barely seen the light of day since. Molyneux would later leave the company to found Lionhead Studios. The legacy of Theme Park lives on in the likes of Rollercoaster Tycoon and Planet Coaster, but Theme Hospital remains a beloved anomaly, one that has never really been revisited. Enter Two Point Studios, the new shop founded by former Bullfrog employees who appear dead-set on returning us to the glory days of the genre, beginning with this, a spiritual successor to Theme Hospital. Fans of the original don't look like they'll be disappointed, Two Point Hospital maintains its predecessor's trademark humour and depe sim gameplay, through devs do promise a few surprises as well. Two Point Hospital is expected to release towards the end of the year. 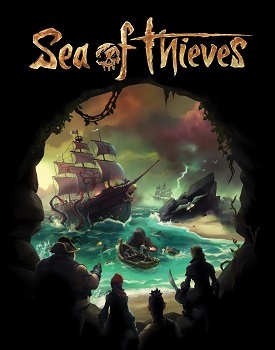 Now for something a bit different, an entirely multiplayer game, Sea of Thieves. This game is notable for two reasons, one it's the newest game from what was once the legendary game development company Rare, two it just looks like a lot of good silly fun. This is a multiplayer pirate game, you and a few friends design your pirate, get a pirate ship, and take to the seas finding treasure and getting into naval battles and the like. Sailing one of these ships is no simple point and click job though, it takes teamwork, with one man steering, one man on the sails, another operating the cannons, and if you take damage, someone needs to place wooden boards over the holes to prevent your ship taking on water and sinking. You can also do all manner of silly piratey things like drinking grog and, just for the hell of it, playing musical instruments. There's something delightfully over the top about charging into battle with one guy on the wheel, another firing cannons, and another in the crow's nest blasting out Flight of the Valkyries on an accordion just for atmosphere. This seems like the type of game that I have zero time to get into these days, but 10 years ago would have been a blast to waste some time with a few friends. Sea of Thieves has been in development for some time, but looks set to finally release in March. The theme park simulator genre is having a bit of a moment right now, most successfully manifested in Frontier Development's excellent Planet Coaster. No sooner had that game launched than rumours began to propagate for Frontier's next project, based on leaked references to "Planet Safari" found within the code of the game's website. Planet Safari has now apparently been confirmed, but it's not the type of safari we were all expecting. It's a known fact that the one thing better than a theme park is a theme park with dinosaurs, so it is logical that Frontier's next game should be Jurassic World Evolution, essentially a theme park sim in design, but based on the Jurassic Park franchise and with dinosaur-based attractions. The concept of Planet Coaster with dinosaurs would already be enough to get my money, but let's face it it wouldn't be Jurassic Park if everything went to plan. This park's attractions can and will run amok. It promises for an interesting blend of management sim and strategy. Expect a release alongside the film this summer. 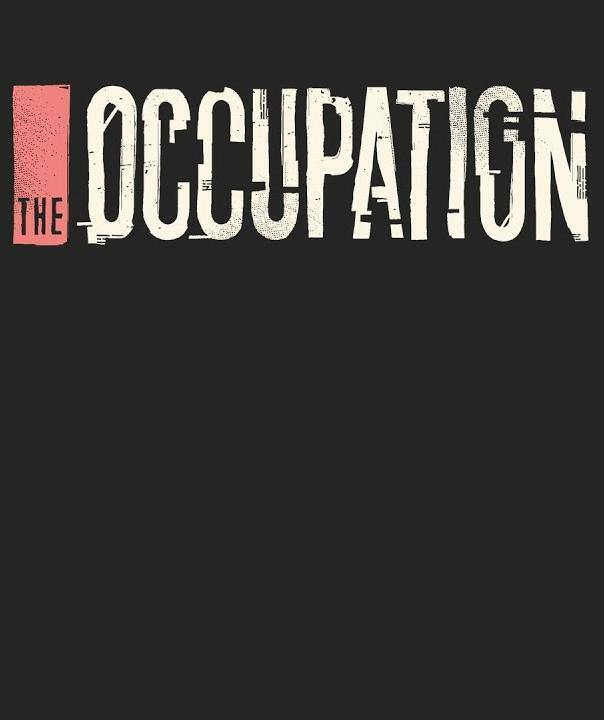 The Occupation is a fascinating project. A politically driven investigative thriller which sees the player take on the role of whistleblower in a fictionalised 1980s England. A deadly terrorist attack has left the Government with no choice but to implement harsh new security policies, but is everything as it seems or does some ulterior motive lie behind the act? With four hours until the vote, The Occupation gives the player the opportunity to uncover the mystery in realtime. Sound a bit too close to home? The game itself looks interesting, like a cross between Bioshock and LA Noire, but it's the timeliness of its political message that will make headlines. Release date has yet to be announced. A long recurring member of the Hot List. Star Citizen is the mother of all crowdfunding success stories, having so far raised over $100 million, and that amount is still growing. What makes this all the more remarkable is that people are throwing their money at Cloud Imperium Games despite the fact that only a few conceptual game-modes have been made available so far after years of development. So why all the excitement and hype? Can an independent developer really deliver on such high ambition? So far the signs are good. The modules that have been rolled out so far show promise, and with the single player campaign set to begin this year, with the online persistent universe soon to follow, it's time to get excited. A title cloaked in mystery made all the more elusive by the continued delays and radio silence of its developer CD Projekt Red, a developer best known for the celebrated Witcher trilogy of games. 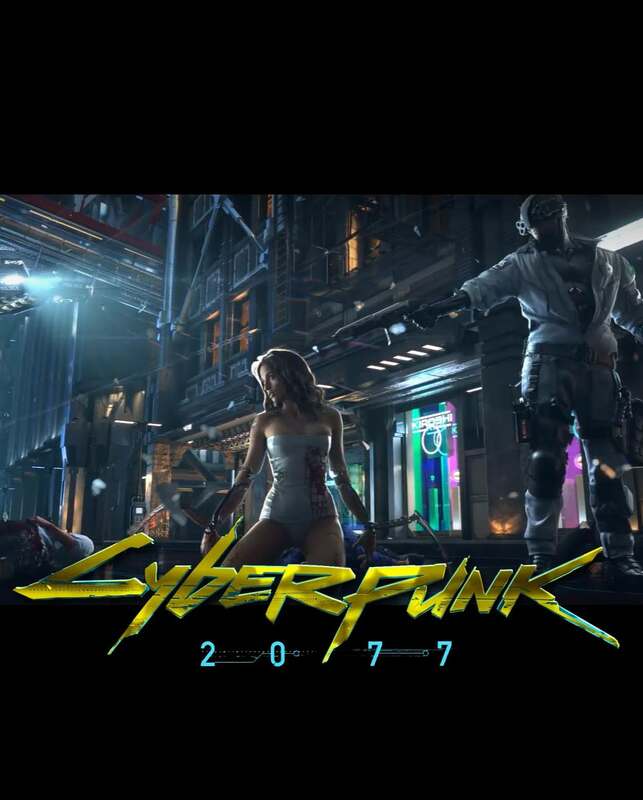 Cyberpunk 2077 is an openworld RPG set in a tantalising Cyberpunk setting in near future California. The brief suggests potentially "hundreds" of hours of gameplay, and a richly developed backstory, the basics of which can be found online. But what is most fascinating is the description of the game's setting as a "seamless living world" that apparently includes both singleplayer and asymmetric multiplayer in the same map. It will be fascinating to see how they marry those two elements in a way that doesn't spoil the immersion, but if they get it right it could make for quite the unique experience. At this point a release date is pure speculation, but after years of silence a flurry of rumours and recent social media activity suggests that 2018 may be the year. For anyone wondering why Bioware didn't put any effort into its development of Mass Effect: Andromeda, look no further. The primary focus of the studio in recent years has been towards its new title Anthem. 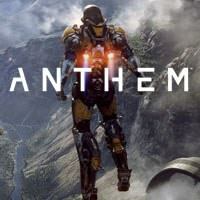 So what is Anthem? This is an open, shared-world action RPG in which players assume the role of a Freelancer, tasked with protecting a new colony in a mysterious and unknown environment, while helping to explore the surrounding landscape through the use of a customisable exosuit, the Javelin. 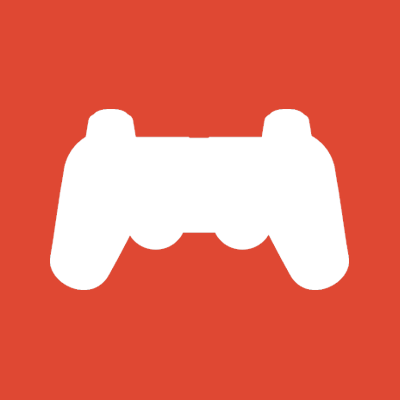 The game is designed to accommodate both single and massively multiplayer gameplay, with the primary focus of gameplay seemingly being to develop and upgrade your own equipment and skills. Honestly it sounds a little derivative, essentially Destiny crossed with Titanfall, neither of which I particular liked. But there's no doubting the pedigree of this Bioware studio, and one would hope that the storytelling flair of the talent involved will go some way towards elevating this project above its competitors. Call of Cthulhu is a lot of things. It is the most famous of the canonical works of celebrated horror author H.P. Lovecraft, it was later turned into tabletop RPG, and has generally taken on an iconic quality as a source of inspiration in the genre of implacable, cosmic horror. Now it is also a videogame, which seems to be taking the form of an investigative survival horror which sees players take the role of a private investigator looking into the mysterious death of a family in turn of the century (the last one) Boston. Precious little detail has been revealed so far. The trailer reveals a heavy narrative focus on sanity and perception, as well as surprisingly strong voice acting. The closest analogue in memory is the under-appreciated 2002 title Eternal Darkness, which was similarly celebrated for its playful use of subjectivity and quality production. Release is expected later in 2018. It's back again! This has been on the Hot List for a good long while. One of the more notable Kickstarter success stories, Kingdom Come: Deliverance started with a simple observation. Publishers typically refuse to release games with historic settings unless it features magic, dragons and silly things like this, so why not break the mould by making a game in an actually realistic historic setting? 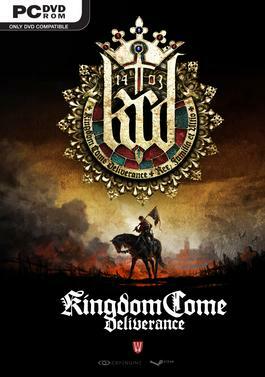 That's the idea behind Kingdom Come: Deliverance. A roleplaying game set in 15th Century Bohemia, with period-accurate clothing, technology, culture, and even going so far as to bring in medieval combat experts and historians to program realistic tactics and fighting styles. But this is not just a period combat simulator, it is a truly sandbox world in which players can pursue their goals as a warrior, a trader, or take a more diplomatic approach. Depending on how these different gameplay elements come together this could be a very unique experience. There aren't enough games that display an interest in real history and show the kind of attention to truly bring alive such a setting. All the signs so far are that Warhorse Studios are very committed to this vision, and judging by the millions of dollars raised there are a lot of gamers who are as well. After many delays, the developers have at last given us a final release date in February. Award winning film studio Annapurna made their debut in videogaming last year with the spellbinding What Remains of Edith Finch. This year they will look to follow up this success with their second title The Artful Escape. Something exciting for fans of complex story-driven games and world building. 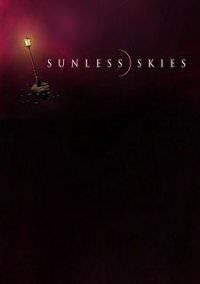 Sunless Skies is the latest title from Failbetter Games, the studio of acclaimed game designer/writer Alexis Kennedy. This is the latest in the Fallen London/Sunless Seas series of games which takes the industrial revolution and British colonialism into a new fantastical neo-Lovecraftian setting, this time outer space. The game itself is part RPG, part trading sandbox, but the big appeal of these games has always been the quality writing, the tasty narrative vignettes and bizarre imagery of Kennedy. All these elements create an open world in which the player has the freedom to craft their own story, with narrative branches in the style of a choose-your-own-adventure. The scope for player-agency is impressive and rewarding, ensuring that each game will leave its unique mark on the world. Failbetter's games always make for whimsical, unique experiences, though not for those with an aversion to reading. Sunless Skies is now in early access on Steam, and expected to release in it's final state sometime in May. Nintendo are on a roll right now, so what better opportunity to revisit their still highly successful handheld gaming platform, the 3DS. Rumour has it that they will soon announce a brand new title in their famed Legend of Zelda series for the device. 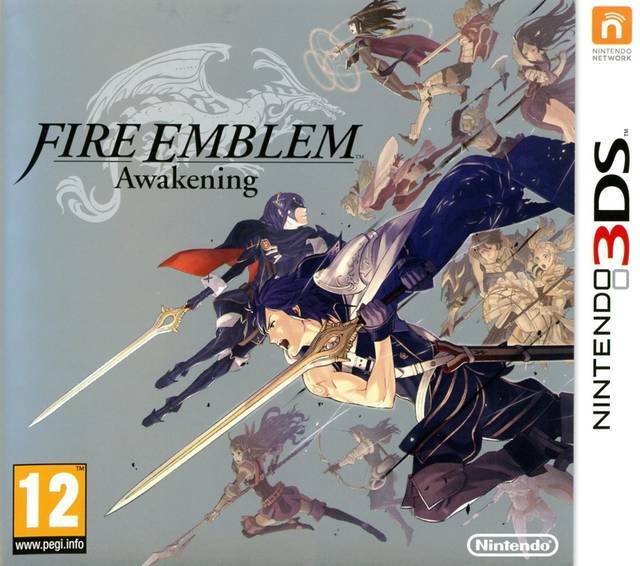 The rumour is that this is some kind of remake of the original handheld Zelda classic, Links Awakening. Exciting stuff for what remains one of the most memorable and indelible of Zelda titles. Will this be a slight remix? a full re-imagining? Top-down, full 3D? The 3DS is, after all, a console that can handle both styles, as seen with the recent ports of the fully 3D home console titles. Of course we could also just be way off the mark, and this may end up being simply an original title. Either way, we expect a reveal by this summer's E3, and a release in the latter half of the year. As promising as the other titles on this list are, none of them can take the top spot away from Red Red Redemption 2, a sequel to 2010's Red Dead Redemption. RDR remains one of the finest games ever made. It had the quality of storytelling and production that one would expect from Rockstar, developer Grand Theft Auto series, but married that with an open world that to this day can't be matched for character and detail. The setting has been confirmed to be a prequel to its predecessor, albeit with a different central character and unrelated plot. 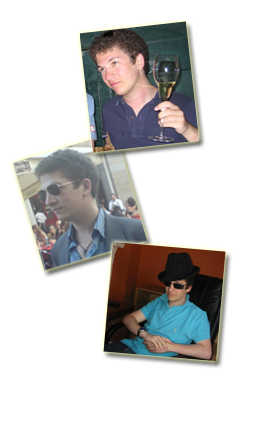 At the time, this was a world unprecedented in the variety and depth of its procedural content. Through its random events, ambient challenges and mini-games embedded throughout, this was a game world you could potentially play endlessly, even once the main story and side quests had been completed. For the sequel, I'd expect more of the same, and the leaked map suggests a world that is even bigger and more varied than its predecessor's. Due by Spring/early summer, I can't wait to get lost in this one. So there you have it folks: 2018 in videogames. Tune in next week for the most exciting new music set for release this year!